· Revenue and expenditure variance analysis. · Improve systems and procedure & initiative corrective actions. · Meet financial accounting objectives. · Maintain and establish fiscal files and record to document transactions. 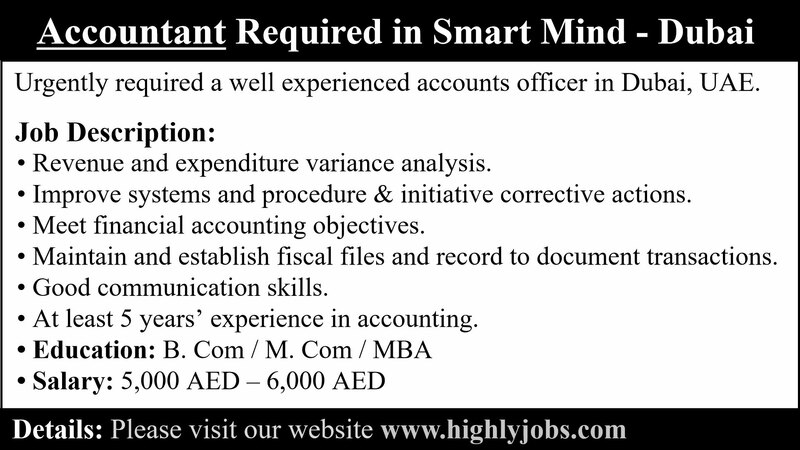 · At least 5 years’ experience in accounting. Kindelay send WhatsApp only for interview location.